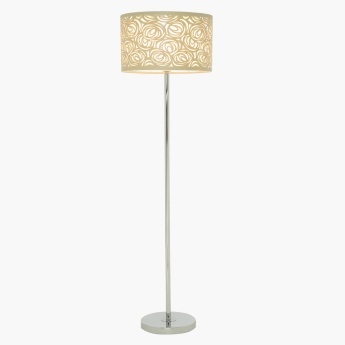 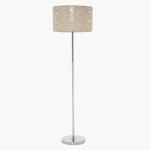 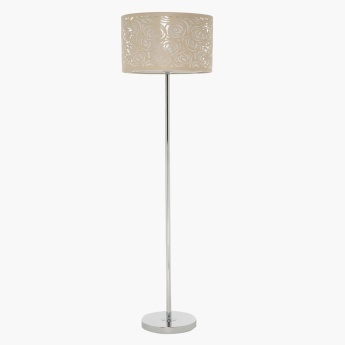 Spruce up your home interiors with this alluring floor lamp sporting an eye-catching design. 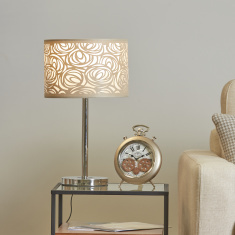 Featuring chrome-plated metal and fabric, it is handcrafted to lend it a unique look. 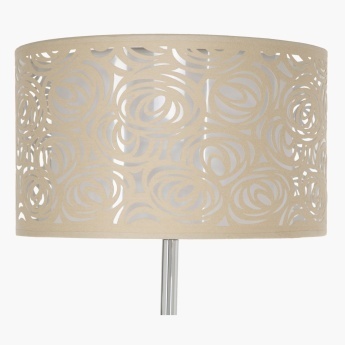 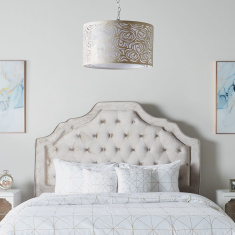 The shade flaunts a lovely pattern and it complements the modern design.